Apparently the Angelique/Barnabas & Julia/Barnabas absolutists couldn’t see to simply squabbling with each other over this guy who’s feelings are so low to them they just want to manipulate him, which makes their stories to me very unconvincing minus a precious few Alternate Universe types as anything goes in that realm. No, they like to manipulate the shyer types who allow for Barnabas getting the ladies he actually turns to more often: youthful and gregarious and mainly Josette Dupres. It’s as if they are as jealous of her as Angelique is herself. Yes, these Angelique fans do share similarities with the dame herself. They don’t like it when they don’t get what they want and they like to come in and control a great deal. And when they don’t get what they want they try to do even more and in more insidious ways which includes claims to cut all communication and then stalk the person they want to control and make fusses. After communicating with someone who claimed to be helping me when most of the time I was given advice that made little sense and told 75% of what I was doing was wrong with both my radio drama/podcast and with my end result marriage novel for said radio drama, I pulled away but not fast enough or far enough. I quit responding to emails after so much hostility that was claimed as “being helpful”. Next I get a friend request on facebook with complaints she can’t comment on my posts. Okay. A little musing here and there. Then a long private message about how canon Lara Parker’s books supposedly are. I’m not going down that road, I told her, for several reasons and said, since she already knew that, I didn’t understand why she was telling me that and neither did my husband. Well in total outrage she flipped out again, continued to tell me I need psychiatric treatment, as she had told me before in spitefully worded emails. She explained how out of touch with reality I was and again that we should cease communication. Then after blocking me on facebook I email her to make my own points and she tells me she somehow saw this note I’d posted of her vicious message to me that did NOT have her name on it, and how she was going to pursue “legal action” against me and to never contact her again. The next thing I know I am getting PRO-Angelique/Barnabas troll reviews on my post marriage novel related to the radio series that she had already told me was “hot writing”. Apparently my talents are so convincing that I’m turning the stomachs of people who don’t agree. Has to go on about having so much, or in this case so little, proof about which fictitious character actually loves which. Hmm… and I’m told I’m the one not living in reality. I keep bogus background information of my identity on facebook because of crazies coming out like this. She assumed I believed this was true information about myself. The other insanity she uses is that behaviour of a determined break from communication while coming back again and again. I’ve been through the ringer with bullies and manipulation and I’ve seen this version a few times. Now who is the one who needs psychiatric treatment and is not living in reality? So I called the police and got some advice as well as talking to a few friends. The troll reviews continued and my support group on facebook took a good look as I exposed the extreme attitude we’d been expecting for a while now. I enjoy pointing out that bullies are not in fashion anymore, which is why I expose this ludicrous attitude. Explaining the behaviour and why it happens is very insightful. This is a good example of why the Barnabas & Maggie = Josette romance has never been done before. It took someone almost as old as the fandom itself to go through many layers of sinister hell and come out, see a spooky program, want to fix it and see the obvious choices in which couples would make the most sense, as well as add humour, more fandom characters to help as a good community does, and ALSO become aware that she had less support because her rare pairing in the world of Dark Shadows creations was shown hostility for that long and kept the others quiet. No wonder. I won’t take a backseat to that. My project is about community and people working together to solve problems, including Angelique Bouchard’s. 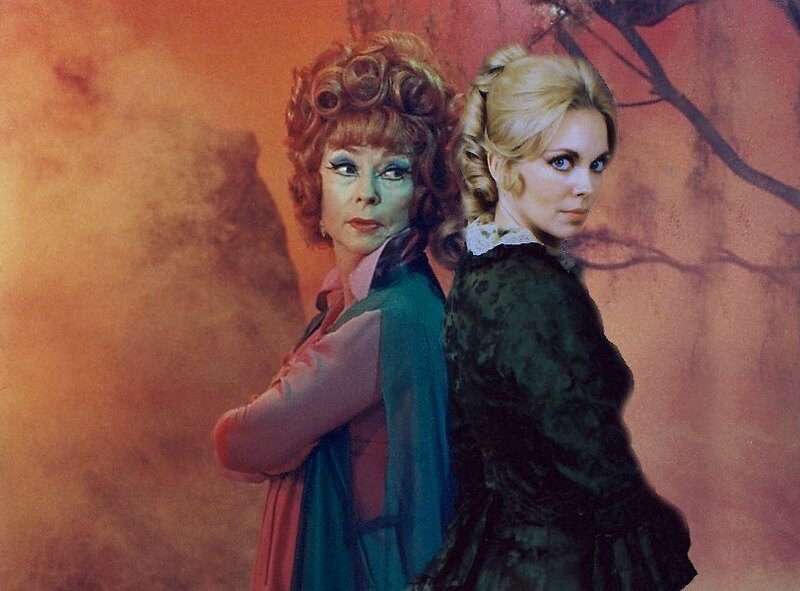 If someone doesn’t like that there is a ton of other creations in the Dark Shadows world of which they can partake. Is my work just that good and convincing?